The San Diego Metro KOA Campground was named 2013 KOA Campground of the Year Friday, November 16 during Kampgrounds of America’s annual International Convention in Orlando, Florida. The San Diego Metro KOA is the first repeat winner of the award in KOA’s 50-year history. 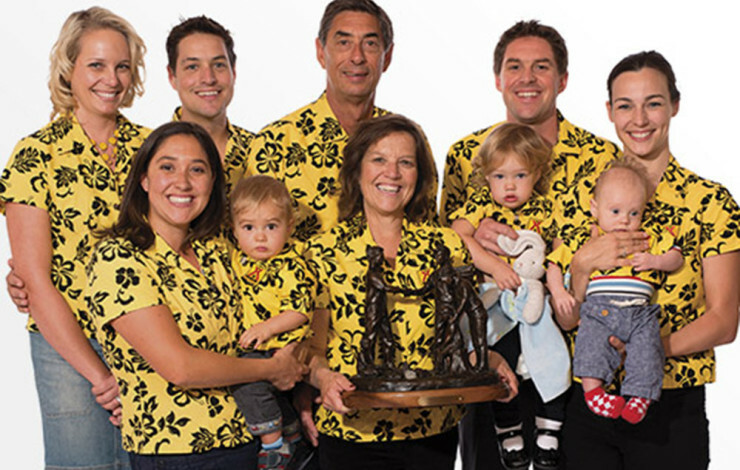 The Bell Family, owners of the campground, also won the award in 1985. We caught up with the Bell Family to talk about their excitement and what they think lead to this important honor. Meet the family who cares for yours in the video and interview below. Q: How does it feel winning campground of the year? A: It is an honor to receive the award on KOA’s 50th anniversary. There are so many incredible operators and parks in the KOA system, we are humbly moved to be selected this year. It came as a shock to all of us and, at some point during the announcement, it sank in… “Wait a minute, they might be talking about us!” Then the excitement kicked in and it was incredible. Q: How long have you owned San Diego KOA? 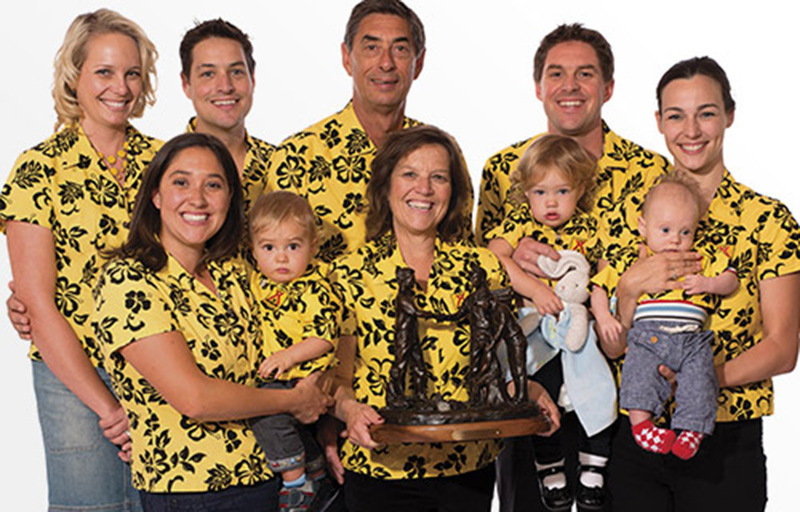 A: The Bell Family built the San Diego KOA in 1968 and it has been a family business for 45 years this coming June — with three generations of Bell family members active and involved on a daily basis and the fourth generation getting their feet wet. Ted and Carol Bell founded the San Diego KOA while Ted was working as a Police Officer and eventually retired and operated the Campground full time. Mike Bell, Ted’s son, began working at 13. Josh Bell, Clint Bell and Molly Bell Crawford make up the third generation and look forward to continuing the tradition of excellent customer service and facilities that the San Diego KOA has become known for. Q: What is your favorite part about owning a KOA? A: The opportunity to bring families together around a campfire. That is where this idea started for Ted and continues to be the heart and soul of the operation. We have the chance as KOA owners to provide incredible experiences to families from around the world. In addition, it is great to have a place where our family can enjoy each other and work together to create those experiences for others. Q: When is the best time of year to visit the San Diego Metro campground? A: Anytime! The weather can’t be beat and the doors are always open! Q: What type of person/family gets the most out of staying at your campground? A: We make every effort to ensure anyone who stays with us gets a great experience. Families love the multitude of activities and playgrounds. Retired couples looking to winter where the weather is warm love the quiet, serene days and manicured landscaping. Q: What are top 3 most loved attractions/events on your campground? A: 1). Our world famous pancake breakfast. Served every Sunday in the summer out doors in the heart of the campground. 2). Our fun cycles and bikes available for rent. 3). The grounds — especially the rose bushes. Over 100 different varieties and specimens on the property all hand trimmed! Q: There are so many hotels in your area. What are the benefits of staying at your campground over a hotel? A: To borrow a slogan from KOA some years back… ”When was the last time you had a campfire in your hotel room?” In addition, San Diego is a fairly expensive market and traveling with a family of four can mean extra rooms, extra meals out and more cost. Our park is committed to making family a cornerstone of our operation and, therefore, our rates, amenities and experiences will always make it reasonable for a family to stay and play together. Kids always camp free. Not to mention that dogs are always welcome and we make sure to have things like a 7,000 sq. ft. Kamp K9, a coin operated Dog Wash and plenty of treats ready on the golf carts of our customer service and grounds staff to hand out to four-legged members of the family. We encourage you to get outside, play together and share memories around an open fire — and the fact you can do that 20 minutes from all of the attractions in San Diego? Our Deluxe Cabins even cater to those who like more of the creature comforts. But in the end, it’s the time outside that makes a difference. Q: How do you set your campground apart from other KOAs? A: We are just one of an incredible landscape of KOAs. However, our Guest Service Staff and Grounds Staff are incredible. They are an integral part of ensuring that, despite the volume of traffic that we see each year, every guest is treated and made to feel as if they were the only one in the park. Our most senior staff member has been with us for 32 years and our youngest just started last summer. The knowledge and energy that they have for what they do is a difference that our guests comment on with great frequency. Q: Located in a warm climate, do you keep the same activities year round or change throughout the year? A: Our activities change during the course of the year to reflect different holidays, different clientele and different times of the year. Even though we are warm, it can get a little chilly at night — so outdoor movies move indoors. We try to cater to the needs of our guests and anticipate what they might partake. This winter we are planting a vegetable garden that will be seasonal. Campers will have the chance to “work the farm” once a week and, in exchange, take home tasty, fresh veggies for their fireside meals! It’s going to be great! Q: Do you have a considerable amount of returning campers at San Diego? A: Certainly those returning campers make up a large portion of our camping guests. We have the honor of being the vacation of choice for some families that have stayed with us for every summer holiday since 1986. Their children, grandchildren and now great grandchildren have all spent summers with us and it is an honor to be here for them. That’s the kind of family memories we love to be a part of and hope to create for anyone who stays with us. We are always thrilled when we have a first-time guest as well. We hope to see them 25 years from now with their families and friends! Q: Do you think San Diego KOA’s success is due to the fact that it’s been family owned and run for generations? A: Family businesses are incredible. There are always lots of things that contribute to successes of business, but from our founding day, the business was built to support Ted and Carol’s family. It was something they could do together. We think that concept and devotion has permeated into every aspect of the campground and our operations. Our guests comment on the fact that they can see the family aspect everywhere on the park. It continues to be a driving force and, as new generations come into the business, the opportunity to innovate and change the model to meet the growing needs of camping guests is also crucial. As the third generation, we are lucky to have an incredible legacy of camping knowledge and business knowledge to draw from.